Grilled chicken seems to be very common these days. The problem with many recipes is that the chicken dries out and ends up with little flavor. 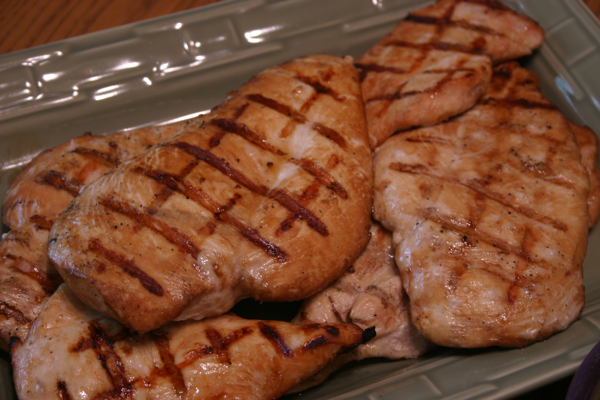 This marinade is my all time favorite recipe for grilled chicken. I received this recipe from a family friend at one of my wedding showers when Jeffrey and I got married. I thought it was such a great idea for shower attendants to bring a favorite recipe with them to the shower. I can honestly say I have used many of these recipes over the years and they are tried and true. This chicken marinade is exceptional. I love the flavor and the marinade can easily be halved, doubled, etc. I have used this marinade when we want grilled chicken for dinner, but the flavor goes well if you incorporate the chicken into a salad as well. I can honestly say you will not go wrong with this marinade. Not only does our family like this recipe but also many guests at my table. Each and every time it has always been very well received. 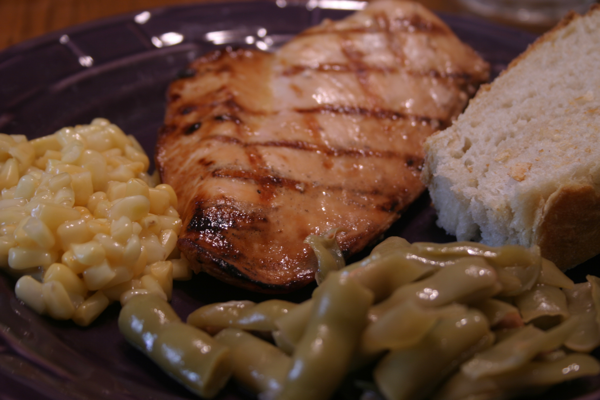 Update: If you don’t have time to marinade your chicken, check out this fast Lemon and Oregano Grilled Chicken. Combine all ingredients and pour over chicken. Marinate at least one hour in the refrigerator (a longer period is even better). Grill on low heat until chicken is cooked through. 5 Comments on "Marinade for Grilled Chicken"
Sounds wonderful. gonna have to try this…as soon as we get some gas for the grill! LOL! I tried it and loved it–easy to put together and very flavorful. It almost reminded me of a teriyaki flavor. Made this for lunch and it was yummy! This sounds like one my mom makes with orange juice instead of lemon. Cooking on LOW must be the key, because your chicken looks way less charred than mine usually does on high 😉 What can I say, I’m always in a hurry so it’s always on high!